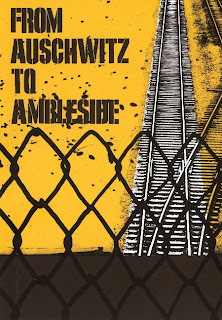 A newly developed Holocaust Survivor exhibition centre in Windermere launches with an afternoon of songs and music on 12 July 2013 in the gardens of Windermere Library. 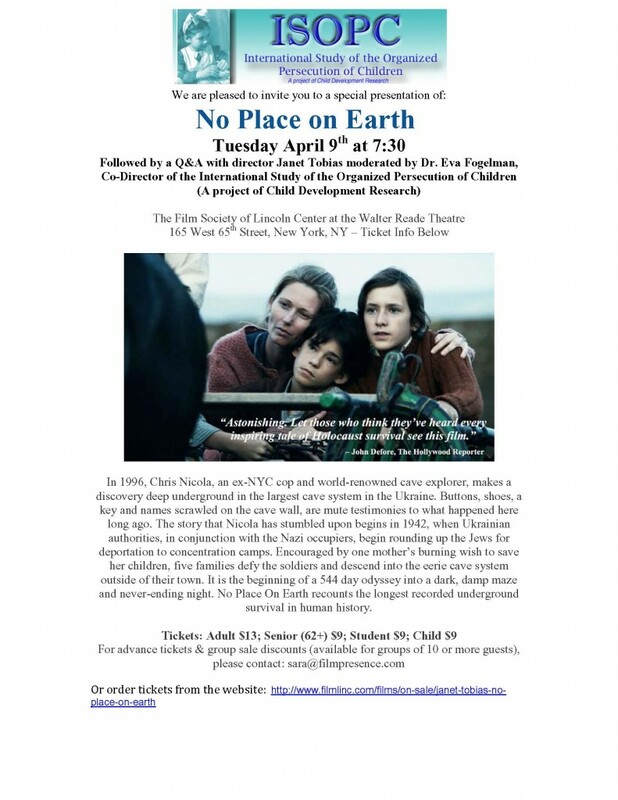 The afternoon is dedicated to “The Boys” – the child Holocaust Survivors who came to the Lakes in 1945. All are welcome to attend this free gathering tha tstarts at 12.45pm and ends at 3.00pm. Germany recognized and will provide compensation to Holocaust survivors who were children during the war, advice ask for their “lost childhood”, information pills the Center for Holocaust survivors’ organizations in Israel announced this week. The move was the result of negotiations recently held in Jerusalem between representatives of the Claims Conference as well as heads of NGOs dedicated to survivors and a senior delegation from the German Ministry of Finance. The survivors concerned include those born between January 1928 and May 1945, for whom the first period of their lives would have been under the Nazis or allies of the Nazi regime. They lived in camps, ghettos, in hiding or in constant fleeing. “This is certainly a significant step forward,” Chairwoman of the Center for Holocaust survivors’ organizations in Israel Colette Avital said in a statement. “I hope that the German government will do historical justice on this issue and will work to develop a rapid and adequate compensation to those children, who today are grandparents, and ensure that they will receive what they deserve in order to live the rest of their lives in dignity,” she added. According to the Center, children of the Holocaust were deprived of a particularly important period of their lives in which children build their personalities and must be loved, protected and feel safe in their immediate environment. The Center wrote that “lifelong irreparable damage on the psychological and social level” was made to these survivors, who were also hurt in the field of education and culture and were exposed to severe trauma leading to disorders such as anxiety, insomnia or mental instability. The Center also stressed that some also endured physical trauma as they suffered from diseases related to the conditions they lived in at the time. Israeli Conference in July, Register Now! I would like to invite you to join me next Wednesday April 10, 2013 at 6:30pm, at the Museum of Jewish Heritage to celebrate the publication of INTO THE LIGHT: The Healing Art of Kalman Aron, about artist Kalman Aron-one of the last career artists who is a living survivor of the Holocaust, and whose artwork represents a significant contribution to post-War American Emigré Art. Author Susan Beilby Magee and the artist’s son, David Aron will share an intimate conversation moderated bycurator/scholar Jean Bloch Rosensaft, exploring Kalman’s universal story of healing, the nature of humankind, his own humanity and the mystery of life-on canvas. We are honored to have an esteemed group of Honorary Co-Chairs and Host Committee Members: Senator Kirsten Gillibrand; Congresswoman Carolyn B. Maloney; Congressman Jerrold Nadler; Former Congresswoman Lynn Schenk; Holocaust Scholar, Professor, Artist, Marc Dennis; Eva Fogelman, PhD; Rabbi Yehuda Sarna, Bronfman Center for Jewish Student Life at NYU; Honorable Debra Cooper; Joan Dean; Toby Goldberger; Hindy Kisch; and Harriet Mandel, The Global Round Table. Steve Strauss, a photographer in New York, created a multimedia exhibit about Gross Breesen, a farm school in Nazi Germany. There are lots of Holocaust stories; this one is my father’s, as told through a multimedia exhibit at the New Jersey Museum of Agriculture, through January, here on Rutgers University’s main campus. We saw the exhibit, “Learning Seeds,” when it opened at the Virginia Holocaust Museum, in Richmond, two years ago. When I heard it would be at Rutgers, taking my father to see it again seemed a no-brainer. Dad is 91 and a dialysis patient in upstate New York, but he has always liked a road trip. He thought the New Jersey location might attract other alumni of Gross Breesen, the farm school in Germany that from 1936 until the Nazis took it over, in 1941, provided an education—and for some, a means of escape—for about 130 young Jews. The exhibit centers on some 60 photographs from my father’s Gross Breesen album, and includes a video of elderly survivors talking about the school. Named for a nearby village in German Silesia, it was an emigration-training school and a haven from the terror enveloping Germany. The surviving Breeseners are now old, but the school changed their lives, and many of them have gathered annually since 1984, when Dad held the first Gross Breesen reunion, in Utica, N.Y. Some of them joked then, and still do, that the first Gross Breesen reunion was in Buchenwald. But I am getting ahead of my father’s story. I was also curious about the venue. A private, nonprofit agricultural museum in New Jersey? In my experience, the state was a highway between New York and Pennsylvania. A campus I imagined as thousands of square feet of asphalt and concrete seemed an unlikely place for so agrarian a repository. So when the three of us—George, my father; Heller, my sister; and I—arrived early to tour the museum, we were charmed. The collection includes artifacts not only from New Jersey’s agricultural heritage but from ours. Novelist, essayist and law professor Thane Rosenbaum talks about Payback, his new book that argues society and the justice system should more openly discuss the human desire for revenge and how it can be lawfully practiced in response to crime. The Garden of the Righteous Gentiles at the Jewish Community Center, 101 Garden of Eden Road in Talleyville, will be rededicated in a free, public ceremony at 3 p.m. April 7. For more information, contact Gina Kozicki at 427-2100 or ginak@shalomdelaware.org. Delaware’s Garden of the Righteous Gentiles – the nation’s first monument honoring Christians who saved Jews’ lives in the Nazi Holocaust – has been restored and will be rededicated April 7 in a public ceremony. The historic garden at the Bernard and Ruth Siegel Jewish Community Center in Talleyville was created in 1981, its trees planted by Holocaust survivors living in Delaware. The garden recently was restored by its original landscape architect, Robert Grenfell, and the Halina Wind Preston Holocaust Education Committee. The rededication ceremony, set for 3 p.m. at the center at 101 Garden of Eden Road, will include the addition of a new tree, like others honoring those who risked their lives to protect the persecuted. The tree is to be dedicated by the family of Rachel and Todd Harad in memory of Andree and Suzanne Romain, two sisters who hid Rachel Harad’s father, Charles Rojer, and a dozen other Jewish children in Belgium. The program’s featured speaker will be Eva Fogelman, author of “Conscience and Courage: Rescuers of Jews During the Holocaust” and co-founder of the Jewish Foundation for Christian Rescuers. The garden Fogelman will help rededicate was the idea of the late Halina Wind Preston, a Wilmington resident who, in 1950, became one of the first Holocaust survivors in the country to speak publicly and in detail about the subject. As a young woman, she and nine other Jews lived for 14 months in the sewer system under Nazi-occupied Lwow, Poland, surviving on scraps of food taken to them by two Catholic sewer workers. Postwar, she married and came to Delaware with George E. Preston, a Russian Jew who had family killed by Nazis, survived Buchenwald and Auschwitz-Birkenau death camps and later helped convict an Auschwitz guard of murder. He became a top DuPont Co. engineer, representing the company globally and speaking eight languages. He also served on the commission that helped create the Holocaust Memorial at Freedom Plaza in Wilmington. 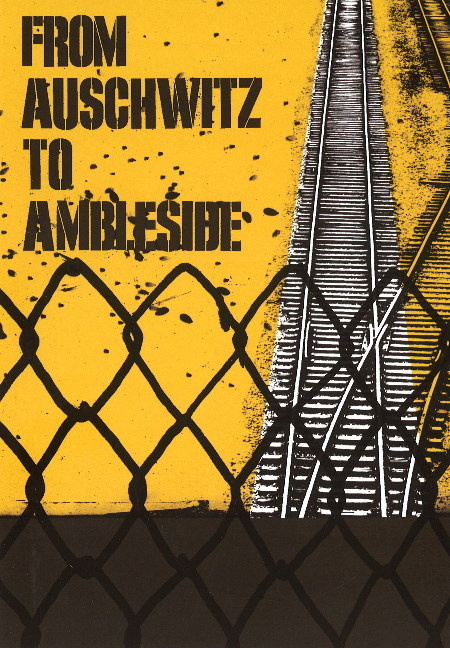 His wife gave hundreds of talks in Delaware and nationwide, over the decades becoming a prominent Holocaust educator. In 1979, the Prestons and other survivors dedicated the Holocaust Memorial in Wilmington to the 6 million slain Jews, who included her parents and brother. But she had wanted to do more to remember those who risked their own lives to save Jews. The Holocaust Education Committee of the Jewish Federation of Delaware created the Garden of the Righteous Gentiles, modeling it after a Jerusalem garden. Halina Wind Preston died the year after the garden’s dedication. The committee that created it was renamed for her and – endowed by in part by her husband, who died in 2006 – continues Holocaust education with a library, speakers bureau, projects and biennial lecture. More than the nation’s first monument to honor Christians who saved Jews in the Holocaust, the garden envisioned by Delaware’s best-known Holocaust survivor and created by the committee now bearing her name was the first such tribute outside Jerusalem. learn more about her art show here.